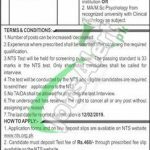 Here you will get the fresh job offer from Ayub Teaching Hospital Abbottabad Jobs 2019 Online Form nts.org.pk. Applications are currently invited from the well known Medical Institute and Hospital named Ayub Teaching Hospital and Medical Teaching Institution Abbottabad is seeking to hire the fresh, dynamic, energetic and caliber applicants are required to apply for the post given below. Jobs in ATH Abbottabad to apply are (Clinical Psychologist) in Medical Teaching Institution. The appointment will be made on the contract basis and the number of posts can be increased/decreased. NTS will conduct the Screening Test and the applicants who will get 50% marks will be counted eligible for this post. NTS Subjective cadre will be conducted separately. Now, I will let you know about its' further details below. ATH is abbreviated as Ayub Teaching Hospital and Medical Teaching Institution is the Govt Hospital and Institute which gives hospital facilities and on the other hand also offers educational programs in the various fields of medical with career opportunities. Being a Govt Hospital it offers Govt jobs of different level for male and female. Applicants should be having the MA/MSc Psychology from a recognized university with post degree Diploma in Clinical Psychology from a recognized institution OR MA/MSc Psychology from a recognized university with Clinical Psychology as subject. Age limit should be 18-36 year's. Application form and online deposit slip are available on NTS website www.nts.org.pk or can be accessed from the given link below. Duly filled application form along with paid deposit slip of Rs. 460/- test fee and all other educational and experience certificates, CNIC and recent passport size photograph should reach the following address given below. All applications should reach at NTS Headquarter, 1-E, Street No. 46, I-8/2, Islamabad. Last date for submission of application is February 12, 2019. Government Servant / Autonomous body’s employees may apply through proper channel. 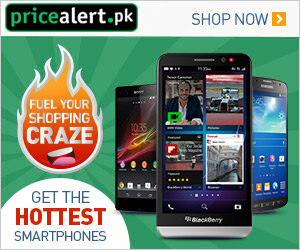 For more jobs stay tuned with this page always and go on having all sectors opportunities daily. Last Date For Apply: February 12, 2019.